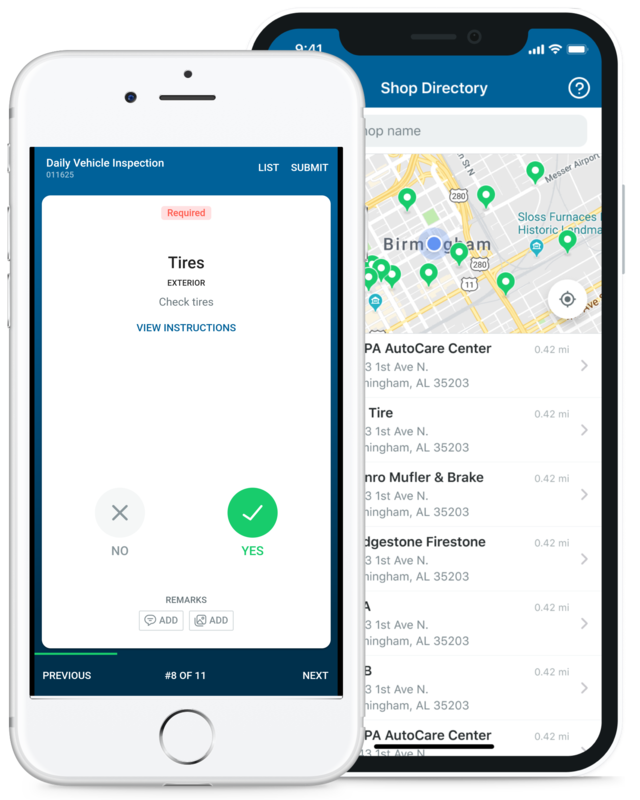 Put the power of fleet management software in your pocket and bring convenience to your team with a one-stop-shop mobile app. Instantly access fleet information and update data from anywhere. Even look up an asset in seconds by scanning a barcode. Improve productivity by giving drivers an easy way to inspect vehicles, report issues and find shops from their smartphone or tablet. Quickly access asset details by scanning a barcode using the device’s camera. Print barcode stickers using Fleetio’s label generator for each asset. View all details, specs and custom fields at a glance. Update an asset’s status or log a meter reading in seconds. Operators and mechanics can quickly perform inspections and report issues, including photos and personal remarks, even in locations without cell service. 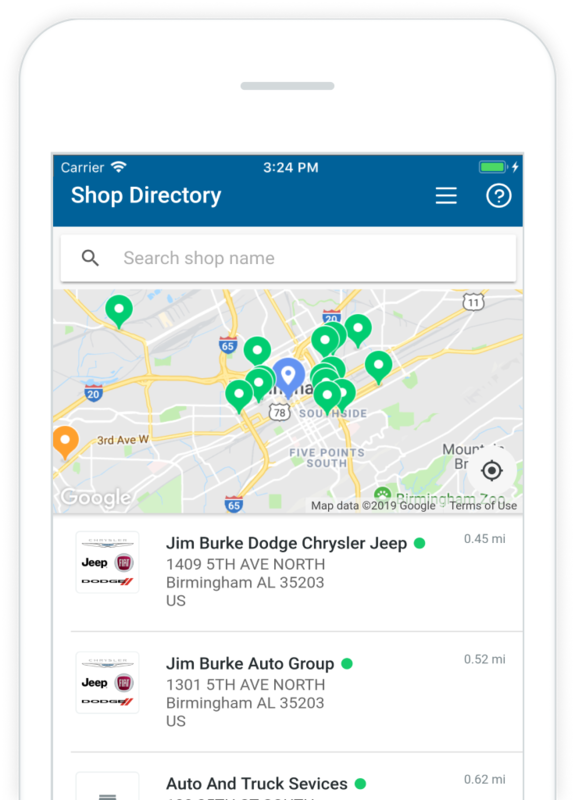 Locate and connect with over 30,000 in-network shops to help automate data entry and approvals for outsourced fleet maintenance. Quickly review service history and work orders to see the last time a certain service task was performed. Log maintenance as it’s performed. Log fuel purchases at the pump, review fuel history and see MPG trends. Fuel economy stats are automatically calculated. Review and update important dates related to an asset such as registration renewals, warranty expirations and other custom types. Receive reminders for upcoming and overdue maintenance. Create new service reminders and update existing ones. View asset documents such as insurance records or scanned maintenance invoices related to a particular service or work order. Discuss and collaborate on fleet operations directly in the app, preserving meaningful conversations as part an asset’s history. Assign and unassign vehicles to other Fleetio users. Change vehicle assignments and keep up with changing fleet demands. Snap and store images of vehicles and more. Drivers can even take photos when reporting issues or logging fuel. Users can only view assets they have been assigned or granted access. Establish what users can add or edit with permissions or even give read-only access. Switch seamlessly between accounts to manage multiple fleets in one spot. 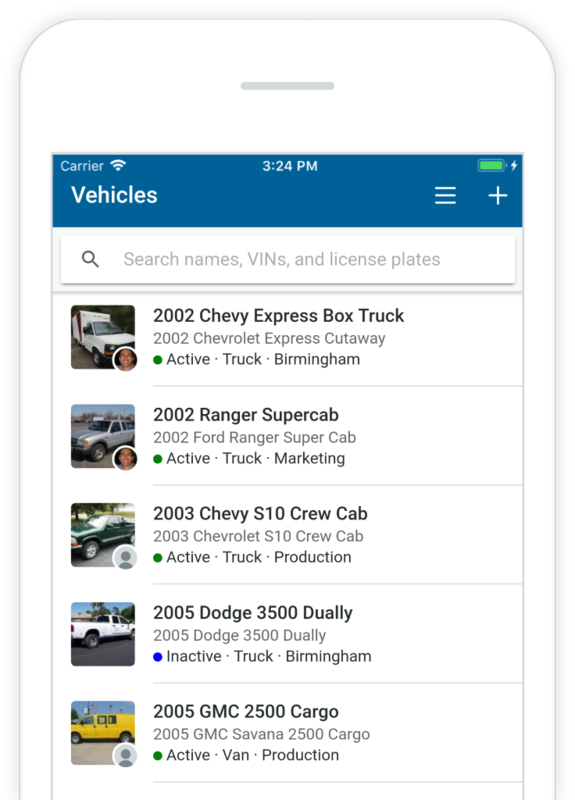 View, manage, and reach out to key contacts relevant to your fleet from anywhere. Plan, schedule and carry out detailed fleet maintenance work orders, tasks and costs on the go. 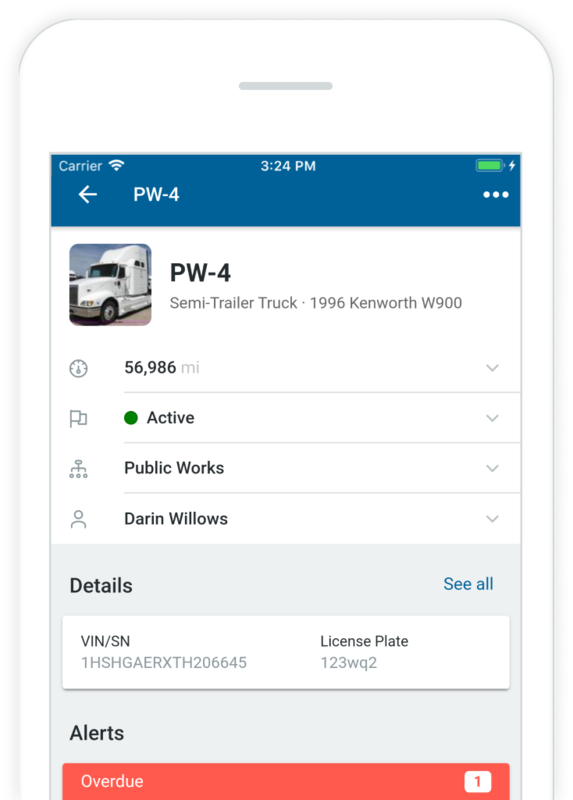 "It's an easy to use app and helps us manage our truck fleet efficiently. Our employees love using the app." Fleetio Go is free for all Fleetio users.